When talking about nutrient loss in tile, the most commonly discussed nutrient is nitrogen its mobile nitrate form. However, recent studies have shown the importance of monitoring tile for another nutrient with well-known abilities to pollute water sources, phosphorous. Phosphorous is non-mobile in the soil because it adheres very closely with soil particles, so losses with this nutrient are typically associated with runoff and erosion instead of tile drains. Proper fertility management and cultural practices can help reduce nutrient loss which are both costly to the producer and harmful to the environment. However, “managing nutrients and manure on tile drained lands while protecting water quality can be a challenge” Aaron Pape, Tile Drainage Education Coordinator at UW Madison Discovery Farms, said. 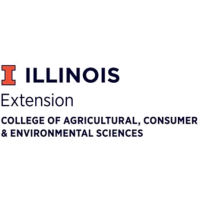 To shed more light on this subject, Pape will be presenting at the annual “Soil Fertility Webinar” sponsored by University of Illinois Extension to be held on Thursday, February 28, 2019. “With ten years of tile monitoring data, Discovery Farms has some advice for how to keep manure and nutrients out of tile drains. This presentation will focus especially on phosphorous loss through tile and will also preview an on-going tile monitoring study that aims to provide more detailed practices to improve water quality when managing tiled lands,” Pape said. Pape will join several other campus-based researchers to deliver their presentations to program participants live through web conferencing. Soil fertility, crop production practices and environmental stewardship will focal points of the webinar, presented by University of Illinois Extension Educators Jesse Soule, Talon Becker, and Phillip Alberti. "Those in attendance will hear about the latest University of Illinois research on cover crops impacting soil nutrient availability, as well as the impacts of long term crop rotations and tillage. Other presenters from Western Illinois University and the Illinois SWCD will discuss nutrient management in organic systems, and a farmer-led program to improve soil health," says Soule. If you need a reasonable accommodation to participate in this program, please contact the Extension Office. Early requests are strongly encouraged to allow sufficient time for meeting your access needs. Certified Crop Advisors will receive 2.5 CEUs in Nutrient Management and 2 CEUs in Soil and Water Management by attending this seminar.